DETROIT - There's nearly a month of Big Ten basketball left to play this season, but Tuesday will be one of the biggest factors in which team ultimately wears the conference crown. 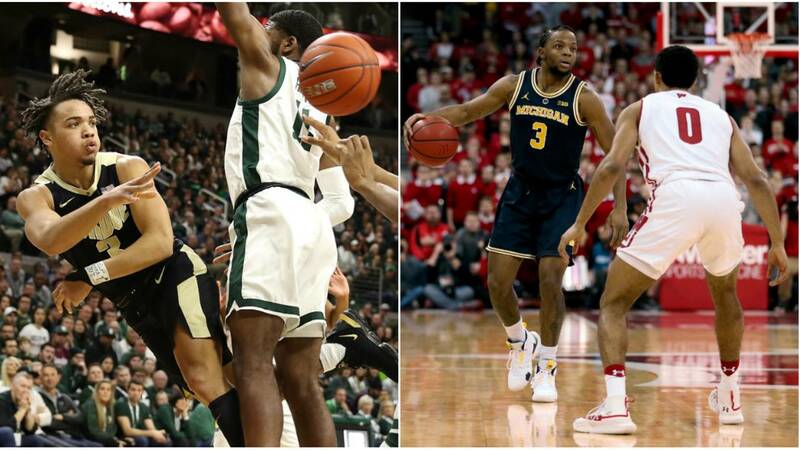 Five teams are within two games of first place in the Big Ten, with Michigan on top, Purdue a half-game behind, Michigan State a full game behind and Wisconsin and Maryland two games behind. There's still plenty of basketball to be played -- Purdue has eight games remaining and the rest of the contenders have seven -- but Tuesday night's matchups will set the tone for the stretch run. All five teams are in action Tuesday night, highlighted by two ranked matchups between teams among that group. Purdue will visit Maryland and Michigan State will visit Wisconsin, setting up two of the biggest matchups remaining this season in the conference. Michigan, meanwhile, will visit last-place Penn State. This game isn't a ranked matchup and doesn't feature two NCAA Tournament teams, but it will still be a tricky test for Michigan. Penn State has been extremely pesky throughout the Big Ten season, staying within single digits in nine of 15 games. Two weeks ago, the Nittany Lions took Purdue to overtime in Happy Valley before winning at Northwestern and nearly pulling off an upset at Ohio State. Penn State is playing its best basketball of the season, and it's a bit of a trap game between the Wisconsin and Maryland games for Michigan. Michigan comes into the game in a virtual tie with Purdue at first place. Both teams have two losses in conference play. Five of its final six games will come against NCAA Tournament teams, including two games each against Michigan State and Maryland. If the Wolverines hope to win a Big Ten regular season title, they can't afford to lose at Penn State. Tuesday is also a massive opportunity for Michigan, with two of the other four conference contenders guaranteed to lose. 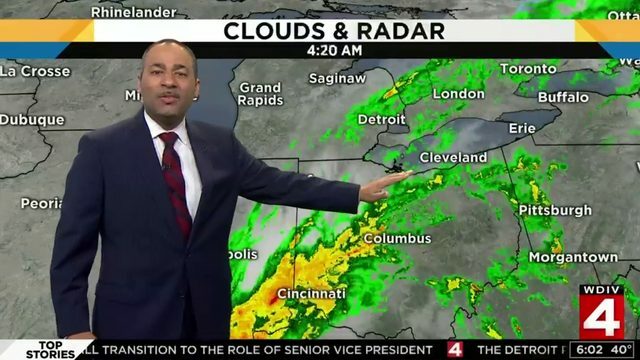 Either Michigan will gain ground on two teams or it will lose ground to two teams. Maryland desperately needs to upset Purdue if it hopes to stay in the Big Ten title race. 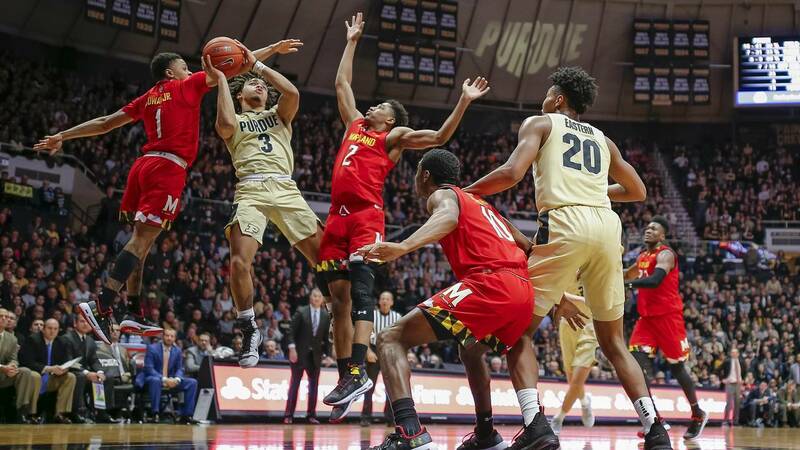 The Terrapins already lost at Purdue in December and wouldn't have a chance to catch the Boilermakers if they fall three games behind without the head-to-head tiebreaker. In its last five games, Maryland has lost to Wisconsin, Illinois and Michigan State while beating Northwestern and Nebraska. Tuesday night will determine whether Mark Turgeon's team stays in the conference title hunt. Purdue, on the other hand, would cement itself as the favorite to win the regular season title with a win at Maryland. The Boilermakers have a very easy schedule down the stretch, with four of their final seven games against non-NCAA Tournament teams and three against teams on the tournament bubble. While Michigan and Michigan State are beating each other up down the stretch, Purdue will be playing Penn State, Illinois and Ohio State at home and Indiana, Nebraska, Minnesota and Northwestern on the road. Those are seven of the bottom eight teams in the Big Ten. Purdue enters the game on an eight-game winning streak, including wins over Wisconsin and Michigan State. The toughest games are in the rearview mirror, and this feels like the final hurdle for Matt Painter's team. The most compelling matchup of the night will be in Madison, where a red-hot Wisconsin team hosts a desperate Michigan State squad. Despite its loss at Michigan over the weekend, Wisconsin is one of the surging teams in the country, winning its previous six games, including wins over Michigan and Maryland and at Nebraska and Minnesota. The Badgers hurt themselves early in Big Ten play, though, losing to Minnesota, Purdue and Maryland in the first half of January. Now, it's close to make-or-break time for Ethan Happ, Brad Davison and the crew. With a win over Michigan State, Wisconsin would not only move into a tie with the Spartans, they would also have the head-to-head tiebreaker because the two teams don't play in East Lansing. The Badgers would also pull to within one or two games of Michigan and Purdue. A loss would be crippling, though, especially since Wisconsin would fall three games back without owning a tiebreaker against any of the other four teams. Greg Gard's squad split with Michigan and Maryland and would have lost the only meetings with Purdue and Michigan State -- both at home. Michigan State isn't quite as desperate in terms of the standings, but it does need to build off of a 24-point dismantling of Minnesota. The Spartans had lost three consecutive games to Purdue, Indiana and Illinois, so Tuesday night is a chance to get back on track. The worst-case scenario for MSU would be a loss at Wisconsin and a Purdue win over Maryland. That would put the Spartans two games behind in the loss column without a chance to win the head-to-head tiebreaker. MSU still controls its own destiny against Michigan because of the two head-to-head meetings. It certainly doesn't want to go into those matchups needing to win both, though. Michigan definitely has the most difficult schedule remaining after Tuesday night, so it absolutely needs to win and would love to see Purdue upset at Maryland. If Michigan State splits with Michigan later this season, the rest of the schedule is very manageable. 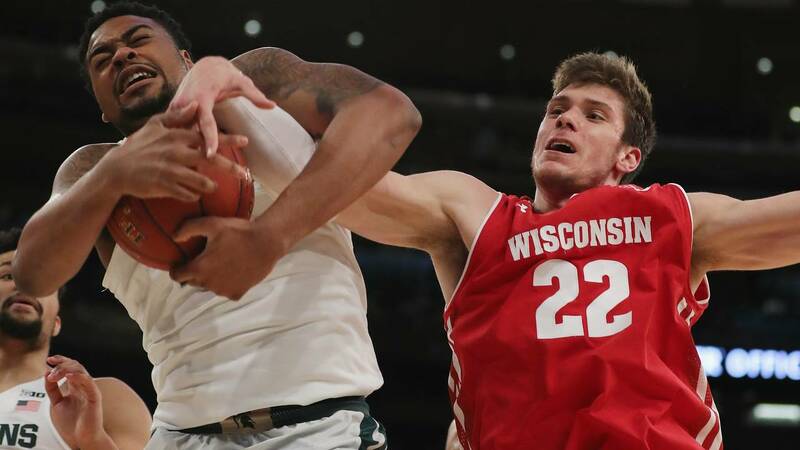 A win at Wisconsin would set the tone for a strong finish in East Lansing and keep Tom Izzo's team very much in the conference title hunt. Purdue is in the best position to win the conference, and Wisconsin also has a pretty manageable schedule after Tuesday night. Maryland is not only one loss away from falling out of the race, it's also got a tough road to the finish line, with two games against Michigan, road trips to Iowa and Penn State and home games against Minnesota and Ohio State. There are still plenty of meaningful regular season games left on the schedule, but no night will be bigger than this one for all the teams at the top.